Barn & Barrel of Florence, Colorado features a full line of award winning Aspen Peak Cellars wines for tasting and purchase by the glass or bottle. 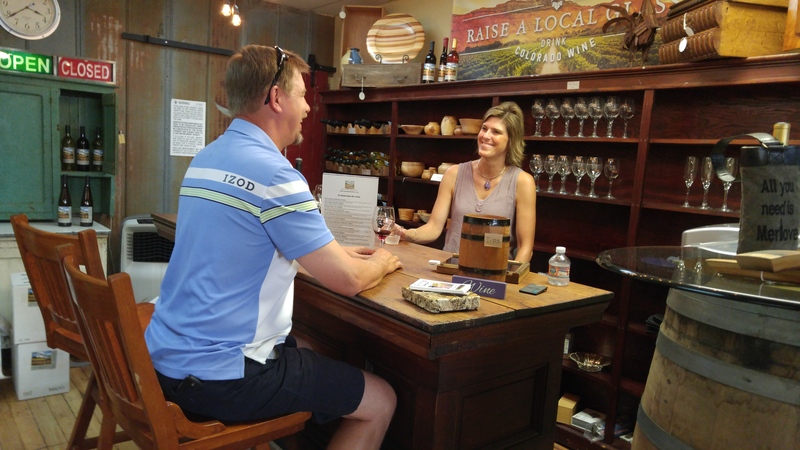 Dan and Tracy Vinton are your hosts and the store is conviently located right on Main St.
Aspen Peak Cellars is located west of Denver in Baily, Colorado where they produce handcrafted wines with grapes from the most popular regions around the country. Stop by to sample your favorite sparkling, white or red, and even dessert wines.